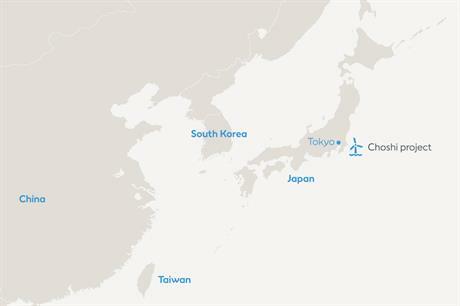 The two will develop the Choshi offshore wind project in Japanese waters near Tokyo on the country's south-east coast, for which Tepco has been carrying out a seabed survey to examine its feasibility. Japanese media reports suggested the wind farm would have a capacity of at least 1GW, and that Tepco would invest about JPY 1 trillion (US$9.2 billion) in the project. However, a Tepco spokesman told Windpower Monthly the company had not yet decided the capacity of the project, but that it hoped to determine this following the survey. The utility has had a 2.4MW demonstration offshore wind turbine at the Choshi site since 2013. It decided to operate the turbine commercially from 1 January 2019. Tepco, which operated the Fukushima Daiichi nuclear power plant devastated by a tsunami in 2011, wants to develop between 6GW and 7GW of renewable energy projects in Japan and overseas, its president Tomoaki Kobayakawa said. Following the 2011 nuclear disaster, Japan has had a rethink of its energy strategy shifting focus to renewables. "We hope that this first step paves the way for expansion beyond the coastlines of Japan for the development, construction and operation of offshore wind farms," Kobayakawa added. Ørsted, meanwhile, has built more than 25 projects in Europe, and has several large-scale sites in development in the US and Taiwan. The developer’s CEO Henrik Poulsen said: "As the largest player in the Japanese electricity industry, Tepco has deep insights into the local power market and the regulatory requirements. "This MoU is the first step in Ørsted and Tepco’s aspirations to deliver on Japan’s ambitions for domestic renewable power generation at a large scale and contribute to making Japan a leading offshore wind market in the Asia-Pacific." The Japanese Wind Power Association’s (JWPA’s) general manager Yoshinori Ueda told Windpower Monthly: "The combination of Orsted’s technology and project management skills and Tepco’s strong presence in Japan enables huge scale offshore wind power development." Japan’s offshore wind sector gained momentum following parliament approving a bill allowing development rights in potential offshore wind zones to be auctioned as early as spring 2019. The bill also requires prime minister Shinzo Abe to prepare a basic policy on offshore wind. Japan has just 44.7MW of offshore wind currently installed, according to Windpower Intelligence, the research and data division of Windpower Monthly. The Japanese Wind Power Association (JWPA) has proposed the development of 10GW of offshore wind by 2030, but the government has yet to set a firm target. However, last year its ministry of economy, trade and industry removed an 820MW limit on offshore wind capacity in Japanese waters.